Using granite all over your home is easier than you think! Most homeowners are familiar with granite countertops. However, the less familiar granite use has been in flooring. In fact, granite tile flooring has risen in popularity and for good reason. 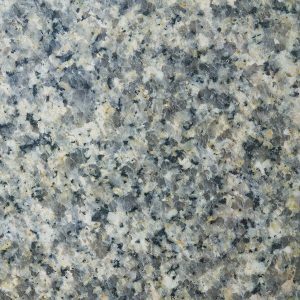 Granite is a natural stone that manages to maintain strength and durability. In fact, out of all the different natural stones available, granite is the strongest and most durable comparatively. This means that granite floors can withstand a lot of wear and tear. However, it is important to note that granite is resistant to water. Therefore, it becomes a necessity to seal granite once installed. In addition, the sealing process will actually make the granite more stain resistant as well. If you are looking for a flooring material that is easy to take care of, you must consider investing in granite tile flooring. In fact, granite floors are a quality material that can withstand a lot of wear and tear. In addition, although your floors may need to be resealed after the initial installation, there is not much more you need to do to keep your granite floors looking new for years and years to come. Just like all floors, granite floors will still need to be swept to keep them from becoming dirty or becoming stained. However, as long as you make sure you seal the granite when it is installed, your floors are sure to resist any stains in the future. Granite is quite the versatile material. It can be used either inside your home or outside. In fact, because granite is a natural stone, found outside, it can adapt to any possible environment. Therefore, you can have an outdoor patio or fireplace that uses granite flooring or a kitchen with beautiful granite tile floors. The choice is yours! This entry was posted on Thursday, March 9th, 2017 at 12:40 pm. Both comments and pings are currently closed.